I am sure everyone heard of historic district and historic properties, but where is it exactly. How to determine whether my property or the house I want to purchase is a historic property. City of Frederick has a website with map of the historic district as well as the option to check based on the address of the property – whether particular house is a historic place. On top of that you will be able to find links to Maryland Historical trust, City of Frederick History Preservation Commission and National Register of Historic Places. Check out the website. If you have ever shopped for home and approached a lender - you most likely found out about different types of loans that potential home buyer may be eligible for. USDA loan is in my opinion a great solution to anyone who does not have lots of funds (this loan allows you to finance 100% of the house - which is sweet). One of the criteria of the loan is the fact that the property has to be in an eligible area. There is a map that could determine which address is eligible and which one is not. In Frederick area - Frederick itself is not eligible, however places like e.g. Middletown, Brunswick, Walkersville are eligible. It does not come to a surprise that once in a while the map of eligible area is revised and changed. This year is the year of change. As of June 2018 some of the areas will no longer be eligible for USDA loans. 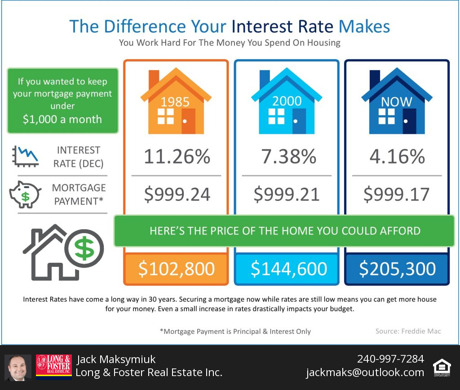 If you are looking to take the benefits of the loan and currently shopping for a house - or planning to shop in a near future - please contact your loan officer (or my preferred lender), and see how this change may affect you. I am sure you noticed how quickly some homes sell nowadays. It is fascinating that 2018 brings such an enormous impact on housing market. I was browsing around and decided to share some statistics with everyone who is interested in real estate in general. These statistics are related to 3 counties – Frederick, Washington and Montgomery Counties in MD. They focus on comparing data of May 2018 to the same month (May) within last 5 years. In May 2018 we had more closed sales than 5-year May average. On average we had about 396 transactions closed, where in May 2018 there were 454 transactions closed. At the same time, we have less new homes on the market. 5 years May average shows 1125 homes active on the market, where in May 2018 we had only 973 active. That means that we had less homes and more sales that last 5 years on average. Montgomery County tends to be more dynamic due to closer proximity to DC. 5 years May average shows 1245 closed transactions, where May 2018 shows 1314 transactions closed. When we take a look at active homes on the market – again we had less active homes in May 2018 (2384 active homes) than 5 years May average (2822 active homes). Again – more closed transactions with less inventory on the market. We can observe comparable situation in Washington County to Frederick and Montgomery County. 5 years May average shows 161 closed transaction and 768 active listings compare to May 2018 – 191 closed transactions with only 657 active listings. If you are interested in any further or deeper statistics, feel free to reach out to me.